For many, especially those with kids heading back to school, September is the start of a new year, and as such can inspire you to do a bit of tidying and organizing. In addition to tidying your home, you should also consider the often forgotten job of tidying up your computer. Several months ago, I wrote an article called Essential Software for your PC – Part 3 – Utilities. There I listed several useful software utilities that can be used to maintain your computer. These utilities are great to have, but don’t do much good, unless you use them. Below are my suggestions for using these software utilities, to clean up your computer, and to improve its performance. Make a backup of all of your important documents and data. 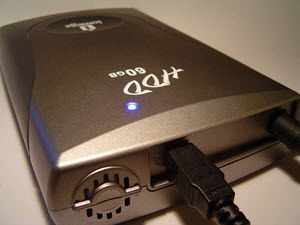 Ideally the backup should be made to an external drive or to cloud storage, for easy retrieval. Make sure your computer is free of viruses and spyware by running a full system scan. Be warned, that this may take a long time, but its good to check the entire computer every once in a while. Uninstall any unnecessary software that you may have installed. It may have seemed useful when you downloaded it, but if you don’t use it, get rid of it. Use a disk cleaning tool, such as CCleaner, to get rid of any unneeded and temporary files. This will give you back some of your disk space. Use a registry cleaner, such as CCleaner, to fix any registry problems and to remove any unnecessary registry entries. A smaller registry will allow your computer to run faster. Use a registry tool, such as CCleaner, to check which programs are set to run when the computer starts up. Not all of them may be needed at start up, so disable any that you don’t need. This will help your computer to start up faster. Run a disk defragmentation tool such as Defraggler. This will optimize how files are stored on your hard drive and improve its performance. Following these steps should help your computer run faster, and minimize computer errors.